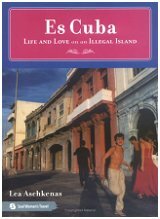 Es Cuba is a poignant and passionate travel memoir about falling in love with a country and with one of its compañeros. 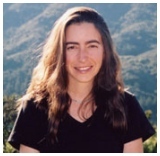 A seasoned traveler and a discerning observer, Aschkenas never strays from her acute awareness that there is no way to separate her foreignness (intensified by U.S.-Cuba relations) from the complex mix of emotions—devotion and rejection, enrapture and apprehension—that she develops toward the country and its people. This is conveyed through her relationship with Cuba, her access into the inner lives of the women she meets, and her budding love affair with a young Cuban named Alfredo. As her story unfolds, readers are taken on an unforgettable journey filled with beautifully woven descriptions of Cuba and the customs and habits of its people. In telling her tale, Aschkenas paints a vivid portrait of the elusive island and discloses a world far beyond Fidel Castro, the Cuban Missile Crisis, and popular images of Cuba. She gives readers a captivating tale of culture and politics, history and romance, and how they all collide and coexist when two people from conflicting countries fall in love.